TheMetalBikini.com- X-Wing Miniatures and more: Imperial Aces Now Shipping! Meant to post this last night, but feel asleep on the couch. Sorry y'all! 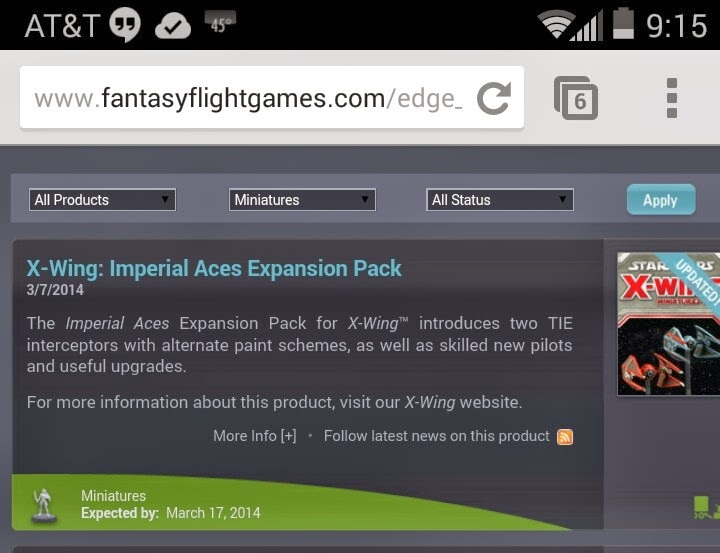 Yesterday FFG changed the status on IA to now shipping and even posted that they'll be in stores the 17th! Sorry for the huge image y'all- threw that post up from my phone and all.